Th pups and parents. . Wallpaper and background images in the Alpha and Omega 2: a howl-iday adventure club. This Alpha and Omega 2: a howl-iday adventure photo might contain anime, comic, manga, cartoon, comic buch, karikatur, and comics. This pic is E.P.I.C !!!!!! am i the only one who just adored this sequel? to me this is the best movie of 2013! hell yea it was! 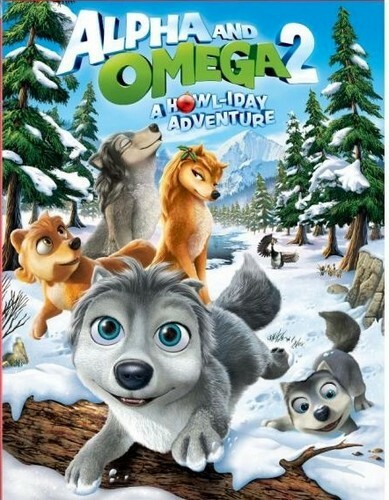 :D i don't give a flying damn if it was short, Alpha and Omega 2 is absolutely AWESOMETACULAR!!! and it definitely deserves the 61% rating it got. i went into the sequel with high hopes (cause i really liked the trailer) and i got wat i wanted: a fantastic sequel! I'm sure it's gonna be awesome too !